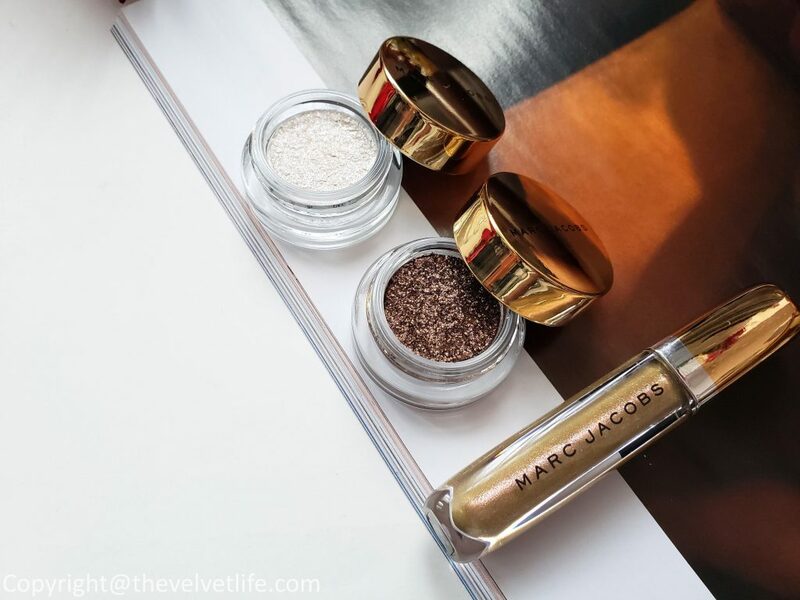 Marc Jacobs Beauty has its limited edition ‘Leopard Frost Collection’ with icy finishes, high impact pigment, and gorgeous packaging. 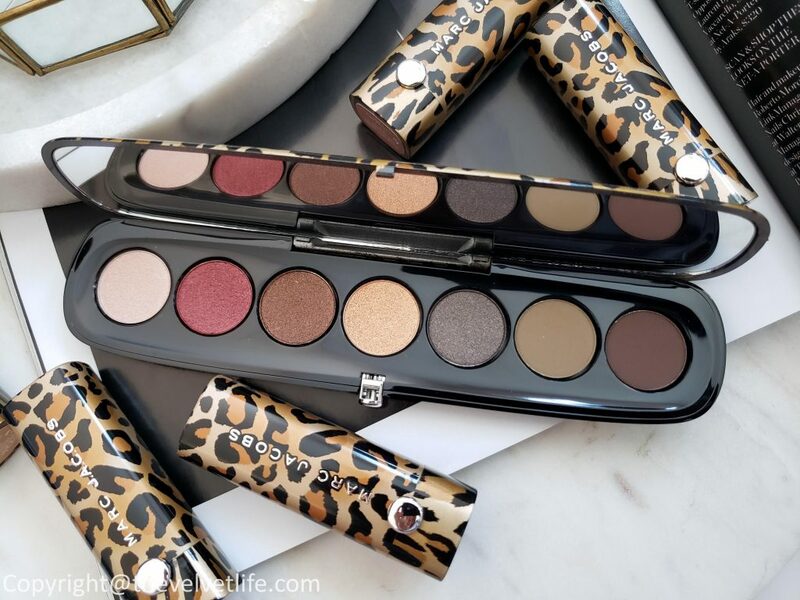 Leopard Frost Collection features limited edition Eye-Conic Frost Eyeshadow Palette and Le Marc Lip Frost in brand new metallic finishes. 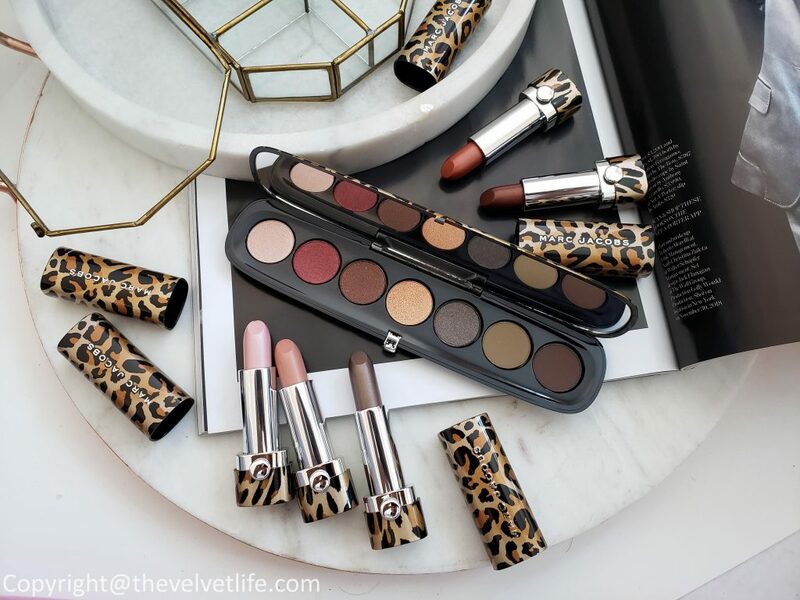 The collection is an eye-catching mix of shimmering and metallics finishes, creamy mattes fronted by Lila Moss in her first beauty campaign. 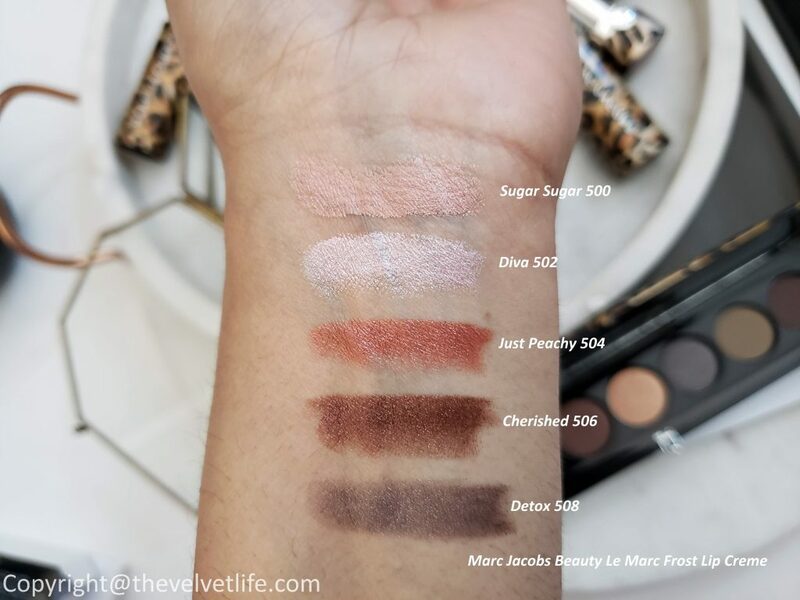 Marc Jacobs Beauty Eye-Conic Frost Multi-Finish Eyeshadow Palette in Flamboyant is an eyeshadow palette in a leopard-print compact, featuring new metallic frost finishes—to layer and dress your eyes. 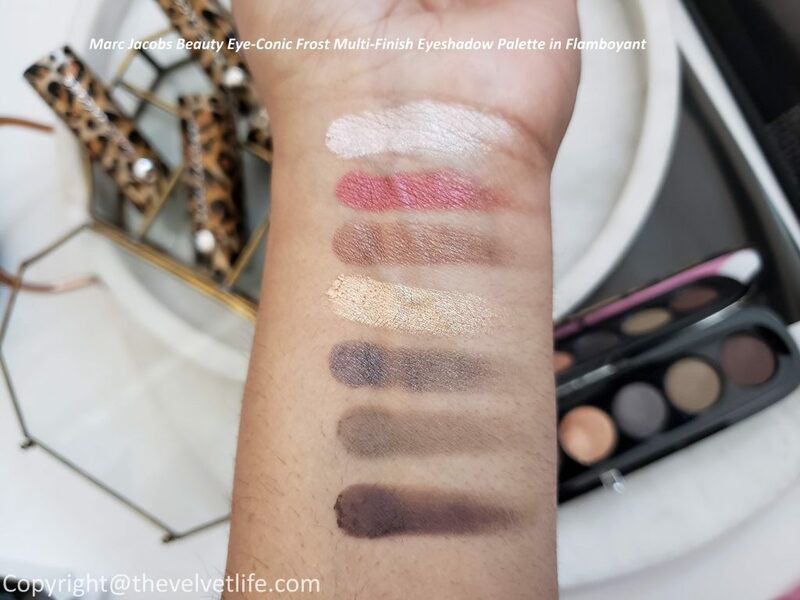 The palette has seven high-impact shades with a mix of icy finishes and creamy mattes are sure to get you spotted. 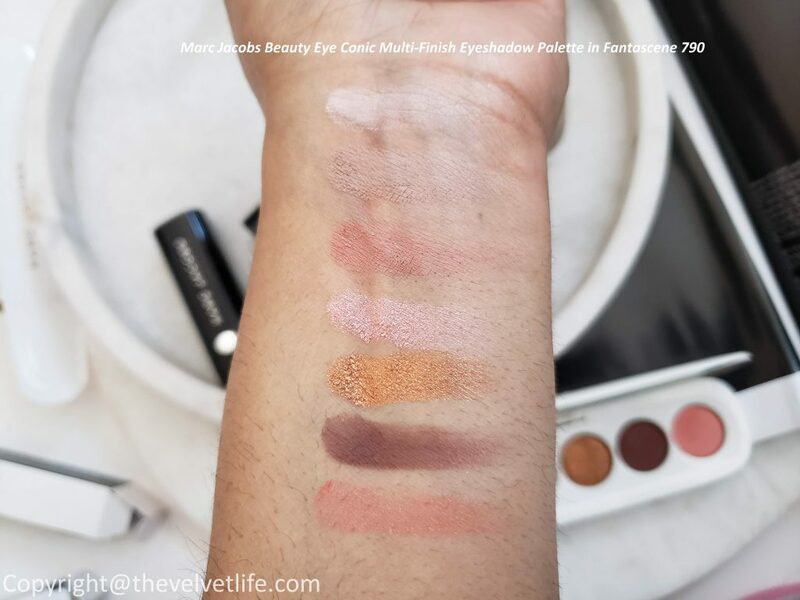 The eyeshadow formula is very easy to work with, is very smooth, and pigmented. 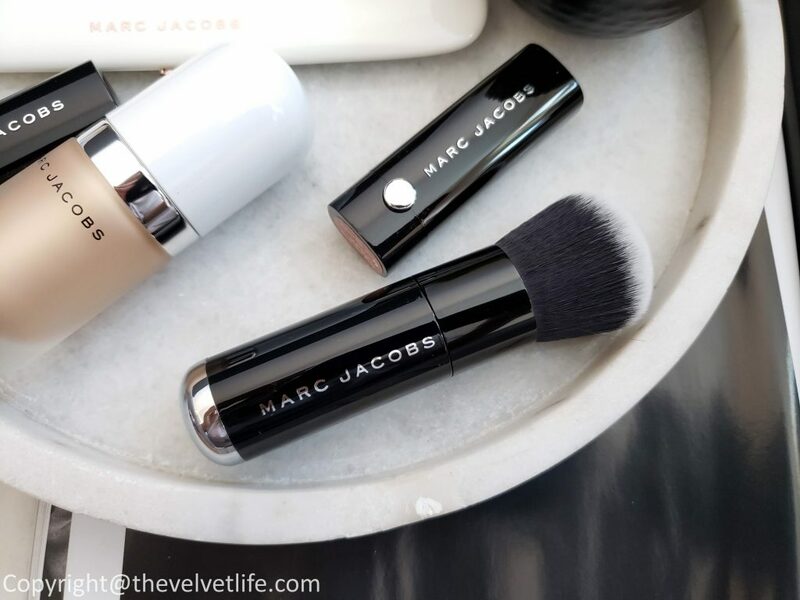 It blends easily, even the matte shades. The shades are buildable to high intensity. I really like how all the shades give a vibe of frosty winter days. There is cool grey-blue shade and on the other hand, there is a pop of bright color, overall a beautiful curation. The shades are very rich, both in the palette as well as on the eyes. 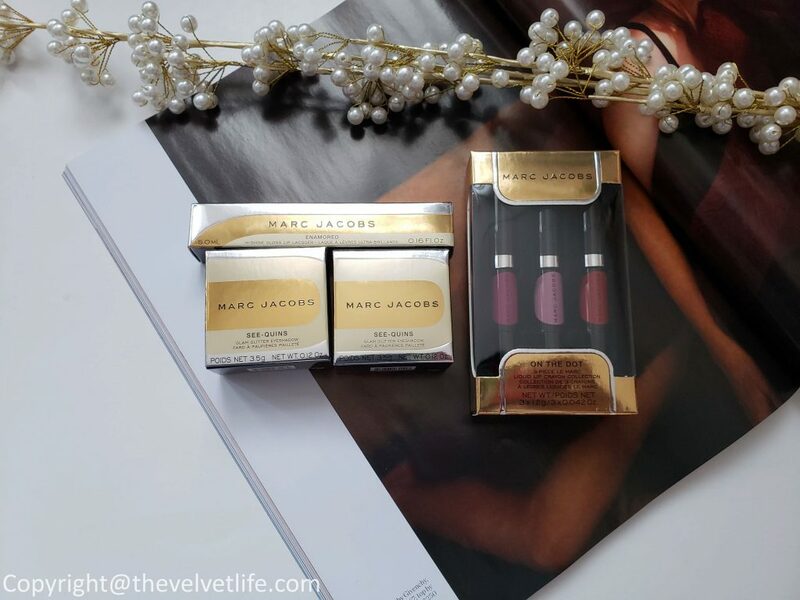 Marc Jacobs Beauty Le Marc Frost Lip Creme is a rich, creamy lipstick a metallic frost finish. 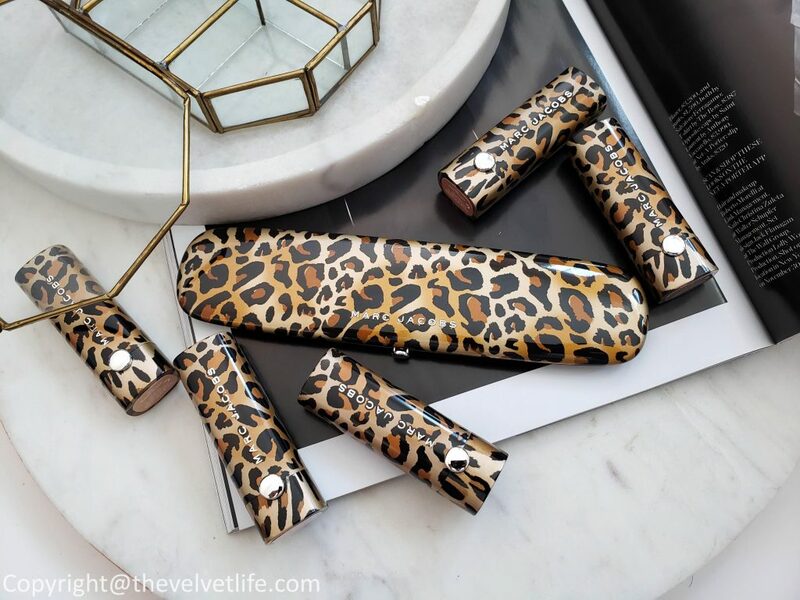 The color-rich, indulgently shimmering lipstick is housed in a sleek leopard-print case. 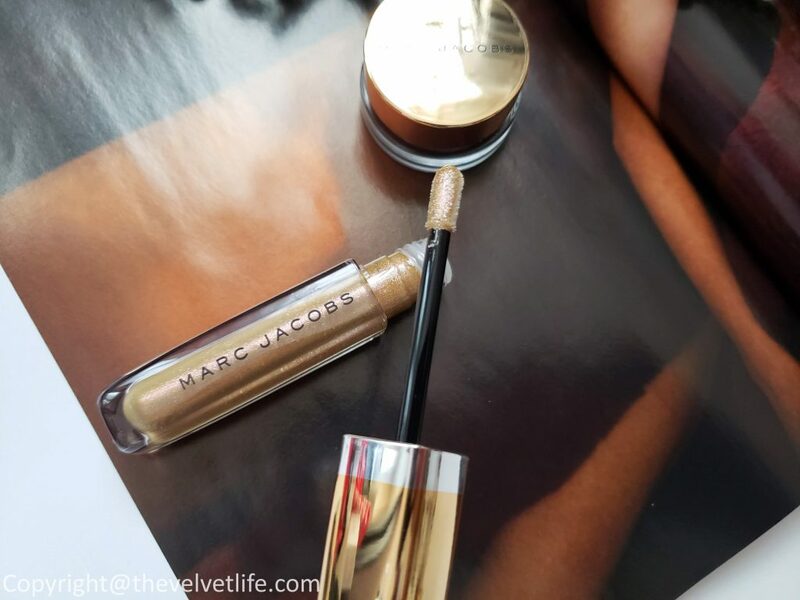 Le Marc Lip Frost Lipstick delivers metallic shine which is not glittery. The color payoff is really nice and is long lasting, lasts for over 4 hours which I have tested. The formula is lightweight, does not dry the lips but is moisturizing despite the long-lasting color. It has a subtle vanilla taste and scent mimic a decadent dessert. 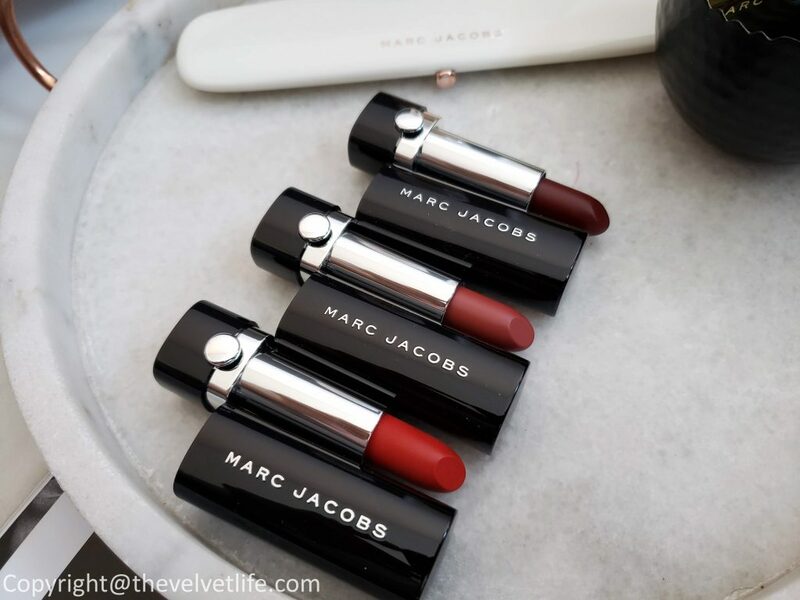 The lipstick is the perfect balance of pigment and translucency to give a subtle dose of frosting this winter. It is comfortable to wear. 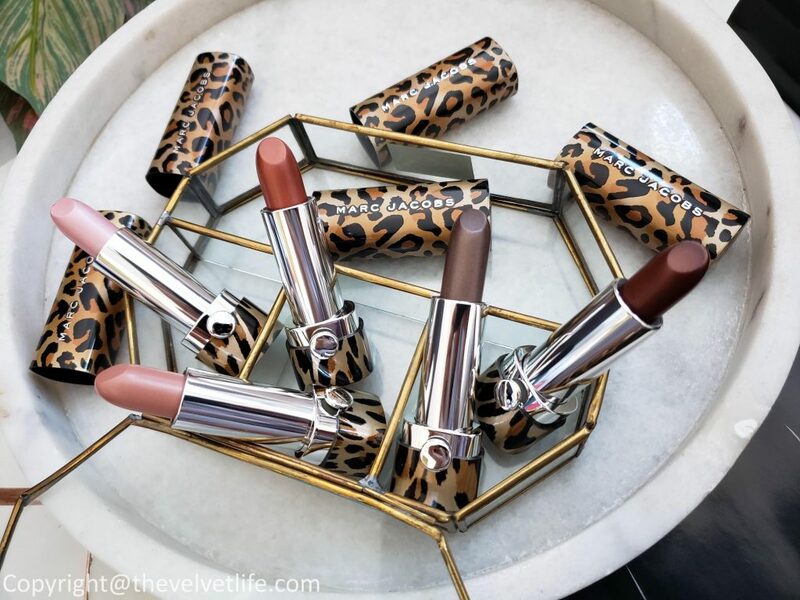 Marc Jacobs Beauty – Leopard Frost Collection is definitely an eye-catching mix of shimmering and metallics finishes, creamy mattes. 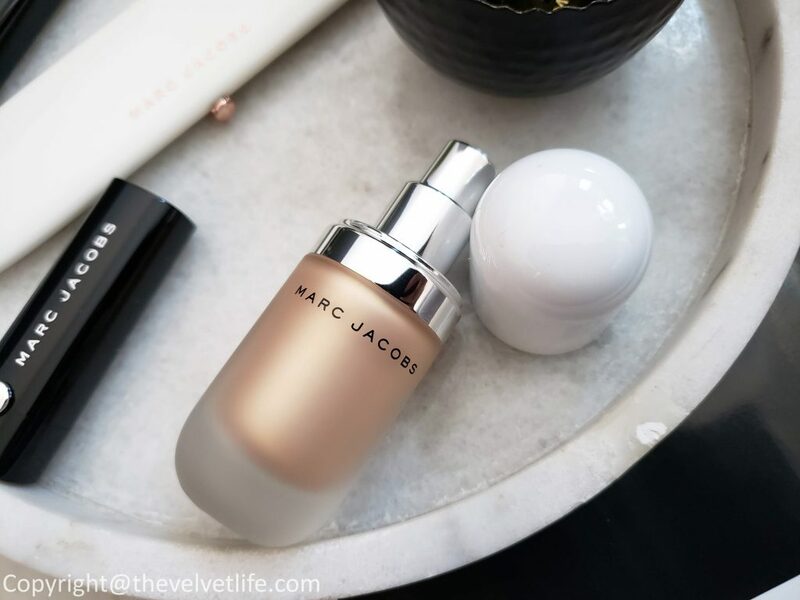 Marc Jacobs Beauty is available at Sephora.ca, Sephora, Nordstrom, Neiman Marcus. See-quins Glam Glitter Eyeshadow is described as the first-to-market sequin finish eyeshadow in a pot adds super-shimmery dimension to any look. The innovative demi-pressed process allows pigments to apply more vividly and gives the glitter maximum sparkle. 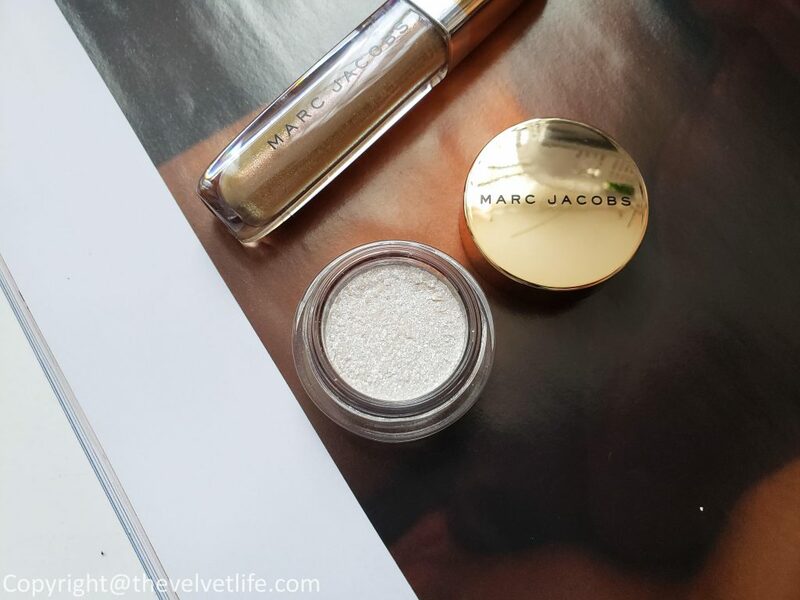 The formula is all intense glitter, it can be blended out for a soft wash of sparkle either alone or layered on top of other eyeshadow for a shimmer finish. 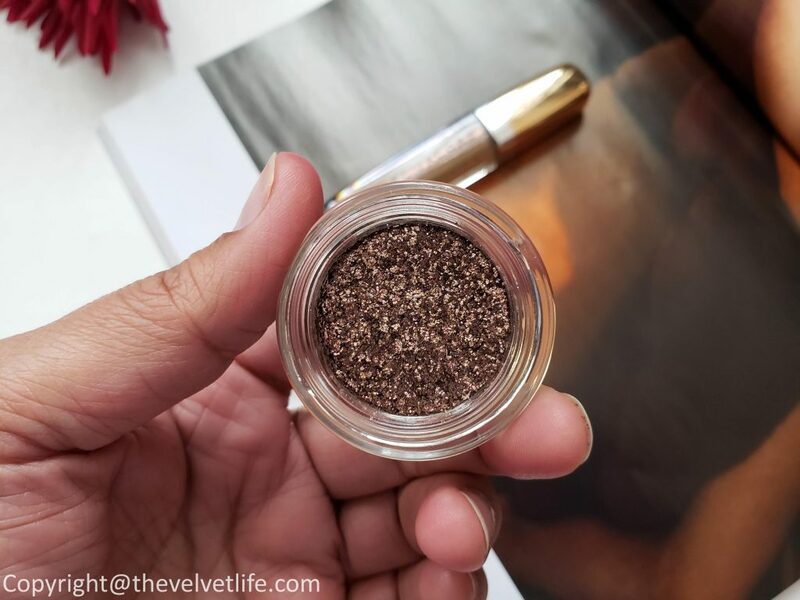 This sequin-finish eyeshadow in a pot has a lid on it keep it pressed and to avoid fall-out or separation of the glitter particles. I do put the black lid first and then the main golden lid on the pot. The innovative, demi-pressed process allows the pigments to apply more vividly and gives the glitter maximum sparkle. 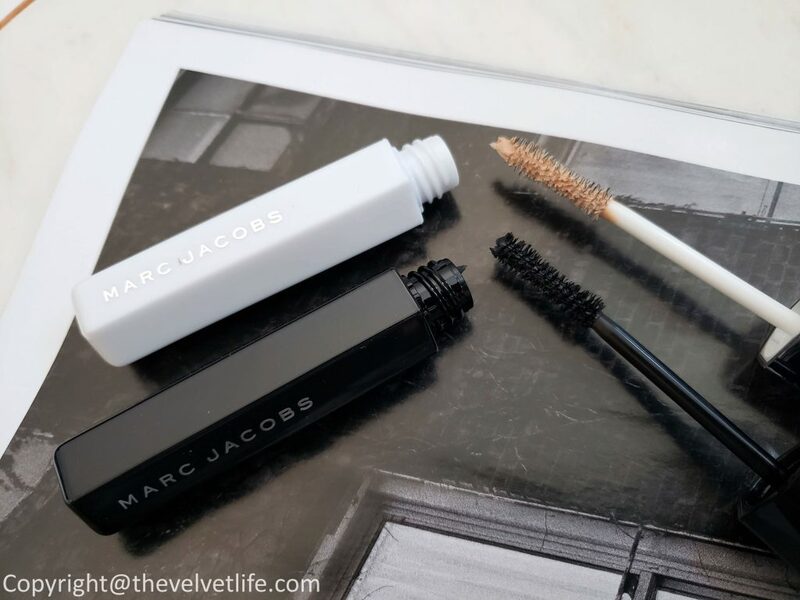 The formula blends smoothly and easily on the eyes. It does work well on its own but I recommend using a primer to hold the intense shimmer in place all day and which it does. 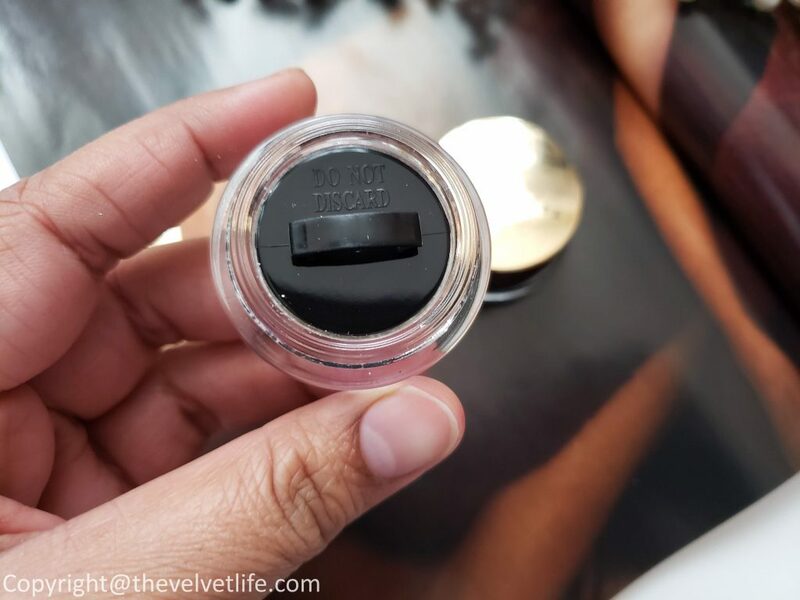 I have used the eyeshadow with the coconut eye primer from the brand. 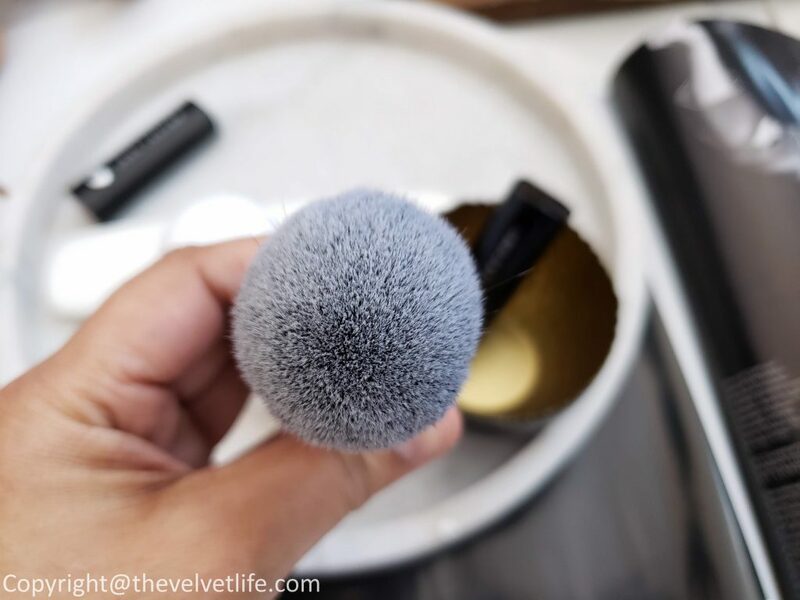 I can use my finger to apply this, works perfectly well for me or with a flat synthetic eye brushing gentle pressing motion for a high-intensity look and finish. I do prefer to apply with fingers due to the loose, crumbly texture but once they’re on, they seem to set fairly well and I haven’t had any fallout. I have the shades Flashlight (Icy Opal) and Topaz Flash (smoky bronze), both of them work nicely alone or on top of other eyeshadow. It is going to be my go-to for the parties, especially the holiday parties. Enamored Hi-Shine Lip Lacquer Lipgloss is described as a unique triple shine complex that delivers maximum color and brilliance with a blend of high-performance ingredients that provide unstoppable wear and shine like ’30 coats of lacquer.’ the brilliant shine contributes to the look of plump, cushiony lips that never feel sticky. 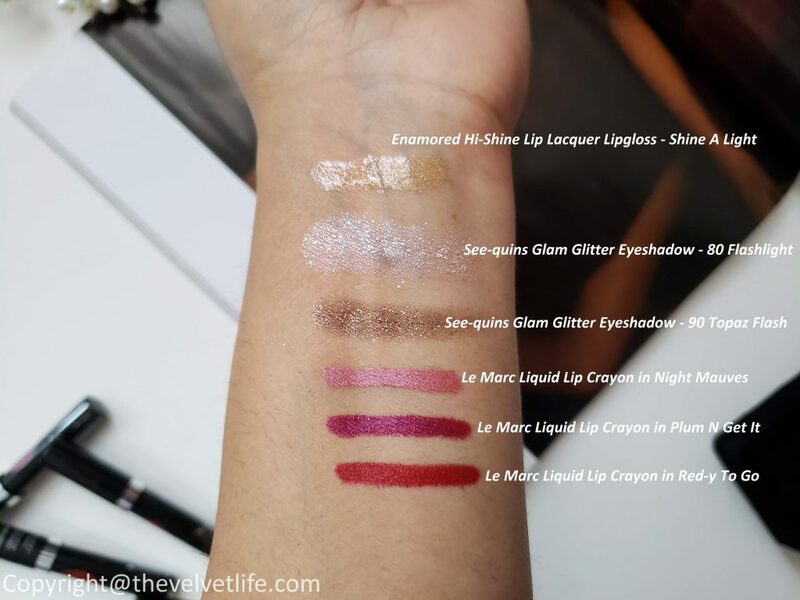 This limited edition glitzy gold shade with pink shimmer, shine a light, is the newest addition to the best-selling enamored lineup, of the brand, which is known for giving lips lasting color and unbelievable glossiness with a touch of creamy mint flavor. The gloss is very comfortable to wear, gives a beautiful shine to the lips which does stay on for a nice amount of time. The gold color sheers out clear and does not look yellow or orange on the lips. The pink sparkle is very fine and does shows in the light and is very subtle yet pretty. It is moisturizing and does not makes my lip uncomfortable or dry. It works well alone or over another lip color. 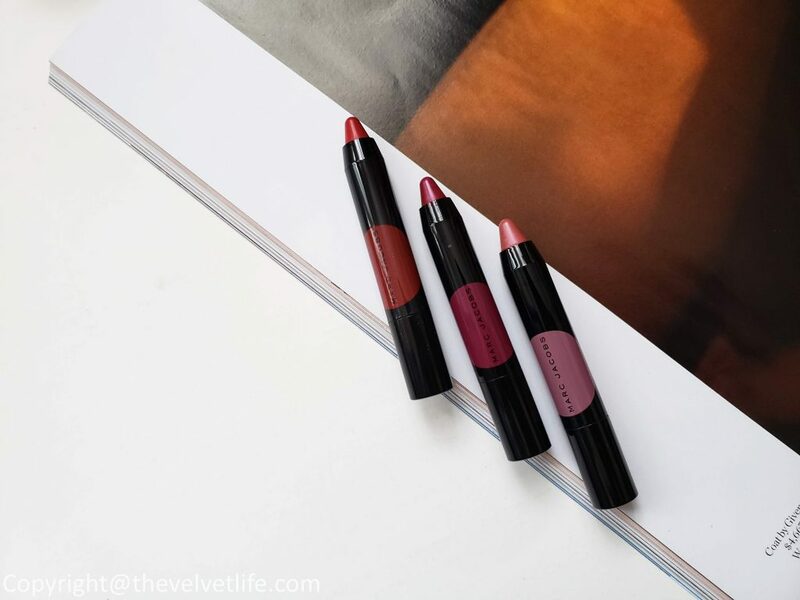 Make Your Le Marc 3 Piece Mini Liquid Lip Crayon Set is a trio of minis of solid lip crayons from the brand. The crayons are easy to apply, glides on nicely on the lips, melts into the lips with a soft, liquid sensation. The formula is pigmented and one-swipe of color gives a bold color to the lips. 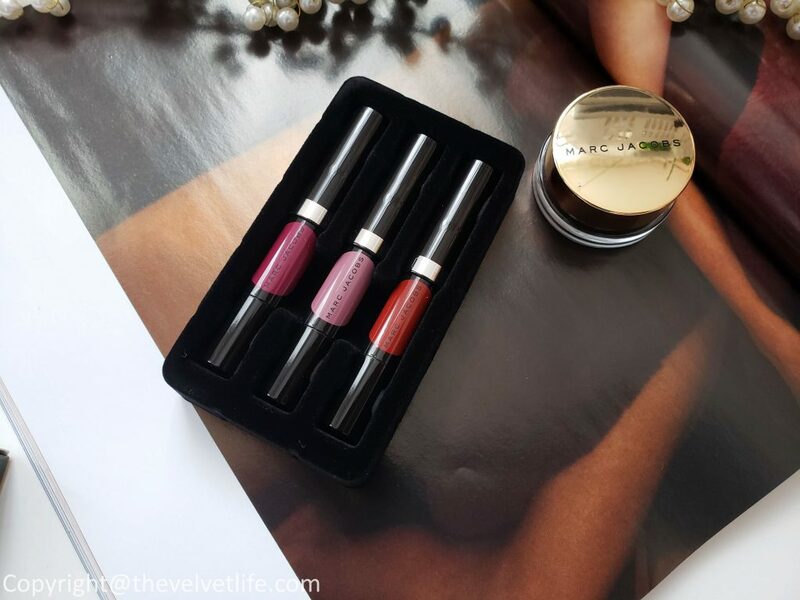 The trio of mini had one new, exclusive shade red-y to go, and two best-selling shades night mauves (soft pinky mauve) and plum n get it (rich plum). 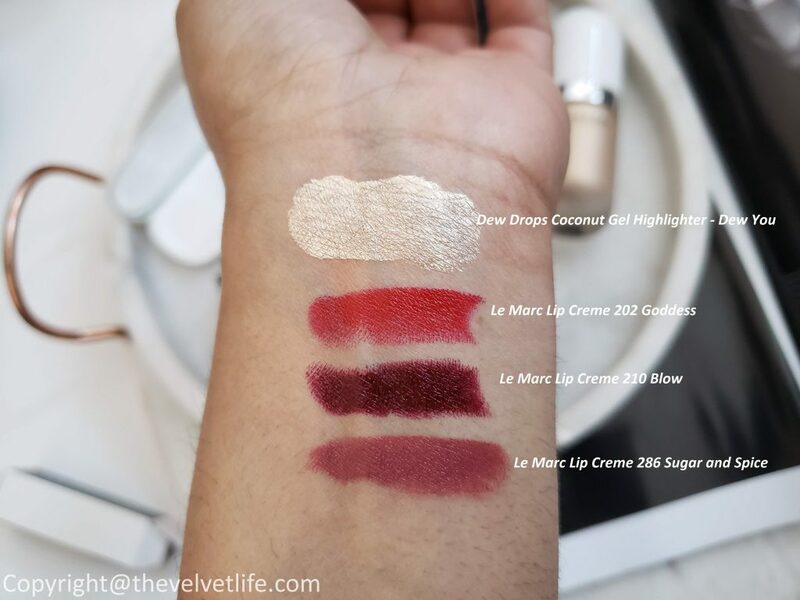 The formula sets in pretty quickly and is comfortable, creamy, and lightweight on the lips. From the packaging to the range of products in this collection, it is truly a gorgeous holiday collection. 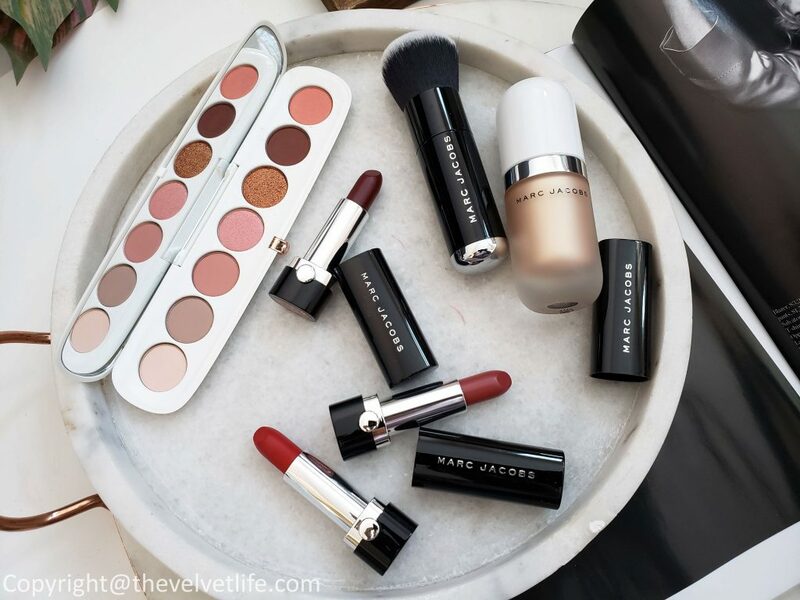 Marc Jacobs Beauty is available at Sephora.ca, Sephora, Nordstrom, Neiman Marcus.